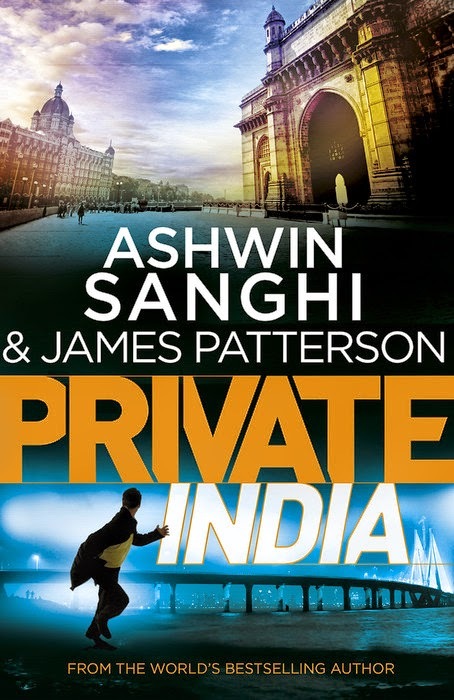 Background - Private India is a part of the "Private-Book" series written by world's bestselling author James Patterson and Indian writer Ashwin Sanghi. James Patterson has co-authored with many writers to write the different parts of this series. Apart from the private-series James Patterson has written many thriller novels and including three other thriller novel series. Ashwin Sanghi also writes in the same genre (thriller) and has three bestselling novels under his belt. Storyline - The story starts with a murder. The murder of Dr. Kanya Jaiyenin in a hotel room. The hotel forwards the case to the a private investigating agency which is supposedly the best investigating agency in the world. The agency has branches all over the world and its India operations are headed by an ex- RAW agent Santosh Wagh. His team constitutes of Nisha Gandhe, a head-turningly attractive investigative officer who is assisting Wagh, Mubeen, a full-time medical examiner and Hari, the technology geek. ACP Rupesh Desai from Mumbai crime branch, who is also an old friend of Santosh is over-seeing the whole case on behalf of the police department. The story moves from one murder to another, while interestingly all the murder victims are women and have a yellow scarf in common. As the story progresses some high profile people gets linked to the case from Attorney general of India to rich yoga gurus. The story goes through many twists and turns and in the way touches many important social points like prostitution rackets, problems with the orphanages and many under bellies which people easily ignore. Jack Morgan who recruited all the people starting from Santosh Wagh also joins the action and the story reaches another level with the angle of terrorism involved. With so many puzzles to solve and so many questions which needed an answer, the thriller sees a nail-biting ending. Merits - The book is written by two people who are master of their craft hence the book is very well conceived. The writing is very detailed and every minute detail is specified with perfection which is actually a necessity for a book like this, as sometimes reader gets lost in the details and don't see the next situation coming. "Ignoring the pub, Santosh slipped inside a nondescript side entrance that led to a flight of creaking wooden stairs. Climbing to the top floor, he stood before a battered door, locked with an ancient padlock. On either side were cream-painted walls punctuated by peeling plaster. To the right of the door was a dented mailbox and above this a small ornate mirror with a cracked frame." With each chapter, the point of view is changing but the transitions are smooth and at no place you feel disconnected. It takes a good writer to get inside the brains of many characters. Another good thing about the book is the way the writers have made all the scenes come alive. You can actually visualize the images through their words. "He felt something move against his foot and looked down to see a massive gutter rat scurry away with a piece of flesh in its mouth. A shudder went down Mubeen's spine and he felt his hair stand on end." Demerits - Among the books available in the Indian market, this book actually stands out and for a general reader this is definitely a perfect book.As a critic, I will definitely point out few things which can be said to be small demerits. The book is divided into parts and so is the speed. The first few and the last few chapters are nail-biting but in the middle where so many characters and so many incidents are playing together, somewhere the reader is lost. The book also goes into too many useless background details, it could have be cut to give the book a sharp edge. Right now it's a bit too lengthy as the authors have tried to cover a lot of things. Specifically saying multiple times quoting the British era which I think can only be done by a foreign author because we have long ago left the notion of comparing our lives from that era. "Thugs?" Asked Nisha incredulously. "Didn't the British wipe them out from India entirely? " Another specific problem was uselessly trying to connect each and every character with Jack Morgan. Yes, he has recruited them all and unless something actually enhances the story there is no use to put that history into a book which is already a bit too long. "Thanks to Jack Morgan he'd gotten his wish. A murder case had brought Mubeen into contact with Jack, who had offered him a job at private India's new office in Mumbai." If you watch crime shows then some of the suspense can easily be predicted which I felt as the only major demerit in the book. Verdict - I will say this definitely deserves to be a best-seller. There is hardly any doubt that this is a must buy.Fast-paced, detailed with nail-biting finish. I will give it a 4 out of 5 stars. I read it too. Could anticipate the killer quite early on, as well as the motive. Could have been better. Maybe the collaboration spoilt it, you know...'two many cooks' . I have read mixed reviews about this book by different bloggers in the past week. Liked your POV. Lovely review! Very well reviewed Gaurab... need to pick this up asap... both are fab writers and I love the way they narrate...it s sometimes a drag but they create magic with their story line and words.. Interesting review. I especially liked reading it because I have reviewed this book too and your style of reviewing it is different from mine.